Yamaha's new Saluto is the company's first serious foray into the commuter space in years. The Japanese company has a handful of slow selling 100cc and 125c commuters that have seen no attention from the market or upgrades from the maker in years apart from cosmetics. 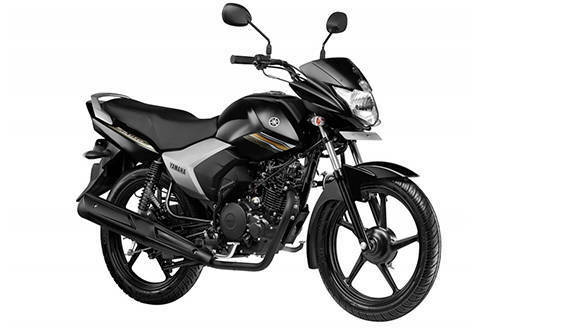 The Saluto claims Yamaha is amongst the lightest and cheapest motorcycles in the 125cc space. More importantly, it is all new. Here's everything you need to know about this new Yamaha. Yes, Yamaha says the Saluto is new from the ground up. That means new styling, new engine and new frame. Why developed an all-new engine? Couldn't they have Blue Core'd a Gladiator? We love the Gladiator but that's a really old platform. Yamaha has been updating engines with its suite of "Blue Core" updates that lead to more power and more economy. However, we suspect that the Gladiator was just too old for this. Yamaha have to account for the upcoming tighter emission norms, the need for greater performance as well as economy - it was time for a new motor. Okay. So what's new in this motor? Yamaha actually started on the Saluto motor based on the new FZ engine. The Blue Core one. Yamaha says using a proven, reliable engine gives the Saluto a head start. It also happens to be a more cost effective and time efficient way to develop a new motorcycle. They started with the FZ v2? Yeah. The crankshaft is the most common item between the two though even that isn't identical. Above that the bore and stroke are new. Compared to the Gladiator which used nearly the same bore and stroke for a square configuration, Yamaha have chosen a narrow bore and a longer stroke for the Saluto. This clearly reveals the intent of the engine. The Gladiator, now the SS125, was a bike that Yamaha wanted to portray as a sporty but efficient commuter. The Saluto is more interested in economy and rideability. The long stroke configuration should give it good bottom- and mid-range grunt which is appropriate for a commuting role. Up top the head is new and Yamaha has worked on the fins to make it lighter and down below the clutch is new as well. So new crankshaft, new block, new piston, new head and new clutch. Yamaha Saluto's 125cc engine produces 8.3PS @ 7,000rpm and 10.1Nm @ 4,500rpm. Yamaha claim a fuel economy of 78kmpl. Nice. What about the gearbox? That's new too. Nothing shared with the FZ or the SS125. This is an all-new four-speed gearbox that runs new gearing specifically tuned for the Saluto's engine. Why a new chassis? The SS125 was lovely! Indeed but one of tenets of Blue Core is lightweight and that means chassis work. Light weight, of course, enhances both performance and economy. The Saluto's new chassis is 7kg lighter than the Gladiator's. The engine is another 7kg lighter than the FZ's. How's the new chassis different from the Yamaha YBR125, then? Totally different. Compared to the Yamaha YBR125, the Saluto's handlebar position is raised by 20mm and brought forward by 11mm. The footpegs are lower by 4mm and brought forward by 20mm. The resultant position offers a more comfortable ride, says the company. The steering geometry is also a bit sharper so the Saluto should be nice in corners too. The competition offers disc brake as an option, why can't I get one on the Saluto? Yamaha has positioned the motorcycle as an entry level 125cc motorcycle. To keep costs in check and in order to price the motorcycle competitively, disc brakes have been skipped. Yamaha says that it is waiting to see how the motorcycle is received. So, the company may introduce a higher spec version, with disc brakes in the future. Just like it did with the Yamaha SZ and launched the fully loaded SZ-RR later. Is it really the cheapest 125cc? At Rs 52,000 (ex-Delhi) the Yamaha Saluto is cheaper than the Hero Glamour that sells at Rs 55,925 (ex-Delhi). It is also cheaper than the Honda CB Shine that retails at Rs 55,524 (ex-Delhi). However, the Bajaj Discover 125M is cheaper at Rs 51,274 (ex-Delhi) and the TVS Phoenix that sells at Rs.51,160 (ex-Delhi). The prices that are mentioned are of the Self Start-Drum Brake-Alloy Wheel versions. On the other hand, the Yamaha's own SS125 is priced at Rs. 56,555 (ex-Delhi).